Thank you for your interest in our Refer-a-Friend program. To show our appreciation for your referrals, you’ll receive a $25 credit every time you refer a friend who uses us for any service. There’s no limit to how many referral credits you can get, so refer anyone you think would be interested in getting a discount on our technology support services! Anyone you know having computer problems. 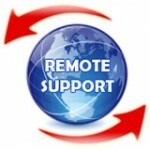 Any business in need of expert assistance. 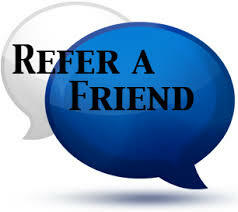 Complete the referral form to the right..
We contact the friend(s) you referred. For each friend that uses our services, we add a $25 credit to your account. Each friend that signs up gets a discount of 10% on their own account, too. Fill out the form to start referring now!